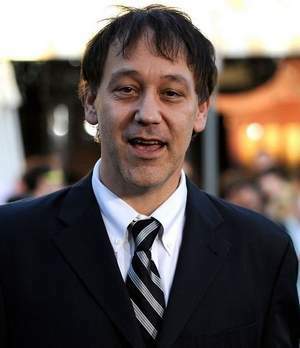 Metro Detroit export Sam Raimi inhabits a rarefied place in Hollywood. He's right up there with the Peter Jacksons and Christopher Nolans of that world -- the cinematic maestros who have access to the best actors, crew and visual effects for their box-office blockbusters. "Sam Raimi is at the top of the top of whatever mountain is tallest," says Steven Gaydos, executive editor of the entertainment industry must-read Variety. "How many directors are in this club of making movies that are monumentally successful, generate billions of dollars, are iconic?" Raimi burst onto the scene with the 1981 cult classic "The Evil Dead" and moved up to the cinematic stratosphere in the 2000s with the "Spider-Man" trilogy, which has earned about $2.5 billion worldwide. Now he's at the helm of Disney's "Oz: The Great and Powerful," the mega-budget prequel to "The Wizard of Oz" that is filming at Pontiac's Raleigh Michigan Studios complex. From there, it's a short drive to the suburbs where Raimi grew up making not-so-amateur movies. But it has been a long journey through buckets of fake blood and a grab bag of genres for Raimi, who has returned to metro Detroit with "Oz" as something of a hometown hero. "He basically brought a sack of cash back into the Detroit area and dumped it in a big pile, God bless him," says actor Bruce Campbell, whose friendship with Raimi stretches to their teenage filmmaking days in the mid-1970s. "Oz: The Great and Powerful" anticipates spending roughly $105 million in the state and is approved for nearly $40 million in film incentives. It's the biggest project to come to Michigan under the incentives. And with the incentive program dramatically reduced and redefined under the state's budget for 2012, it could be the last project of its size in Michigan for a while.